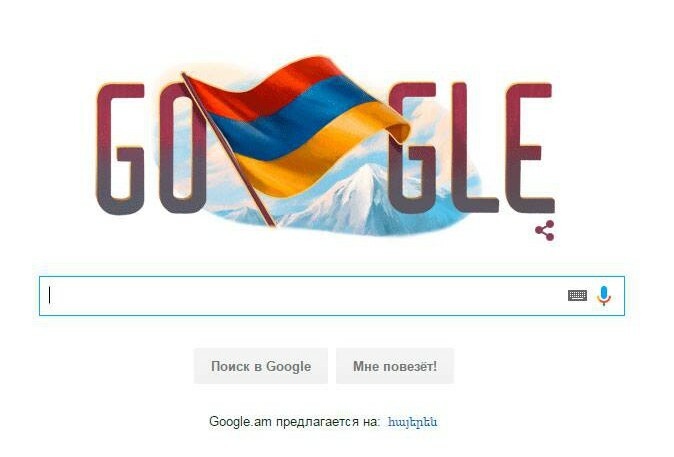 Google.am search engine was the first to congratulate Armenia on the Independence day, placing on its Doodle the Armenian tricolor in the background of mount Ararat (the territory of historical Armenia, now belongs to Turkey — ed.). Clicking on the Doodle leads the visitor to the search results dedicated to the «24th anniversary of Armenia’s Independence». On September 21, Armenia celebrates the 24th anniversary of the Independence of the country. On this day in 1991 the Supreme Council of the Republic held a referendum on secession from the USSR and the establishment of an independent state. Then 94,99% citizens voted «for» the Independence. The result of the referendum is considered to be exceptional not only in the history of Armenia, but also in the territory of the other 14 former Soviet republics. The Declaration of Independence of Armenia in 1991 read Aram Manukyan, a member of the Armenian national movement at that period of time. 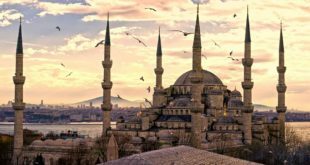 In an exclusive interview to RUSARMINFO the Herald of Independence congratulated the readers on the main holiday of Armenia. «Congratulations to all your readers. I urge them to become carriers of Armenia’s independence, to be brave optimists, to live in their homeland in safety and not to endanger the fate of their children. This is the independence, when a citizen feels safe and sees his future in his own country». 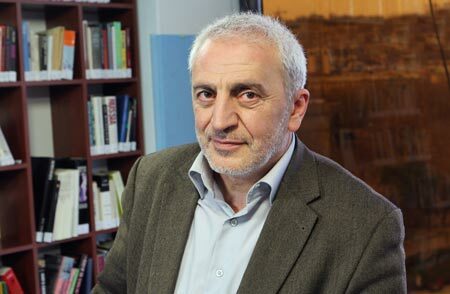 It is noteworthy that the only copy of the Declaration of Independence, with which Aram Manukyan read the text in 1991, was stolen from his car in 2007 after one of the airs in which he showed his copy of the Declaration. Fortunately, the original of the Declaration of Independence is stored in the Historical Museum of Armenia. President of Armenia Serzh Sargsyan on the occasion of the 24th anniversary of independence of the Republic of Armenia together with His Holiness Catholicos of All Armenians Garegin II, President of the Nagorno Karabakh Republic Bako Sahakyan, accompanied by the top leadership of the country, visited the military Pantheon «Yerablur» and paid tribute to the memory of those, who gave their lives for the country’s Independence.